There are many Schools of Kabbalah that have emerged over the last few thousand years. Since the Hellenic occupation of Israel 332 BC – the Greek, Egyptian and Hebrew mysteries have mixed and influenced eachother extensively, and created the best structure for holding in place the knowledge of the ancient world, its arts, magic and sciences, intact! Every school has its own philosophical, metaphysical and practical angle, each with its own benefits and seeming criticisms of the structures of other schools. 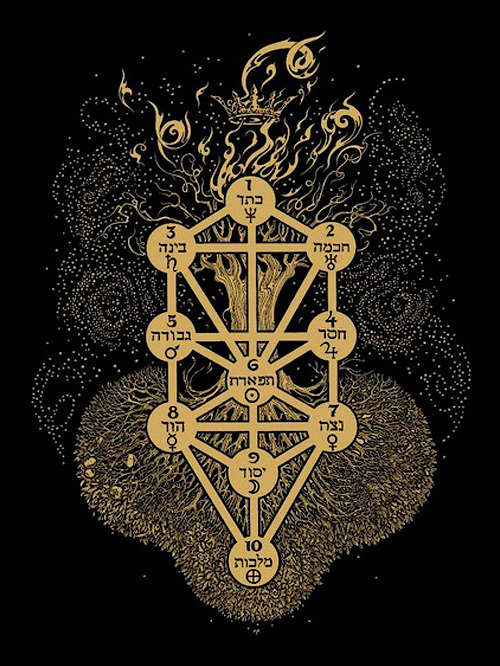 One thing they all agree upon is the Tree of Life structure based on the description in the Sephir Yetzirah, the oldest book on Kabbalah. Every school interprets and makes use of this most ancient of texts and riddles, and each school produced its elect, who take the Tree of Knowledge, find the Tree of Life in the Eden of their soul and bring it to the world for its betterment. Enjoy your journey travelling the paths of the Tree of Life, exploring your soul, and expressing the light that bursts forth from such a process.